1b) Opened items older than 7 days will not be credited or refunded at all. All opened/unsealed returns of functional products within 7 days will be subject to a handling fee determined by the manager, whether the product was actually used or not. This handling fee could be up to 25% depending on the product state or damage to packaging/seals. 2) All unwanted returns of ordered (non-store stock) products in working order are subject to handling fees if the error/issue was not the fault of Titan Ice Computers. Handling fees on such items will be charged even if the the item is still sealed! Check the product specifications and whether or not it satisfies your specific requirements before you decide to purchase. Read reviews and ask before you decide to purchase. a) Products that are returned damaged, older than 7 days or with any missing components, boxes or accessories (such as manuals, warranty cards or other materials belonging to that item) will NOT be credited. 3) Titan Ice Computers cannot be held responsible for incompatibilities between any item(s) purchased and any of your existing hardware or software that we were not made aware of. This problem is especially prevalent when dealing with notebook/motherboard RAM upgrades. Check and make sure the RAM modules are on your device's memory QVL. Handling fees will apply when opened incompatible RAM modules are returned. 4) Software & consumables products cannot be returned/exchanged at all under any circumstances. This is due to international licensing conventions used in these products. Consumables are prone to malfunction if not cared for properly. 5) Refunds: Opened products still in working order will not be refunded under any circumstances. Check the product for damage before accepting and signing for it. Check the product specifications and whether or not it satisfies your specific requirements before you purchase. 6) Please take care during component assembly or installation. Physical damage of any kind such as broken clips or bent pins are not covered by the product warranty. Also be aware that many components are sensitive to static damage. 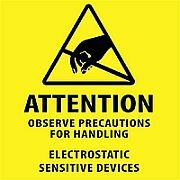 Handle with care, always earth yourself first and do not directly touch exposed electronics or the contact points of expansion cards. Do not use a vacuum cleaner to clean your PC or components! 7) Motherboard socket damage/bent pins = warranty void, no exceptions. Even if the motherboard arrived dead in the box and the socket then gets damaged afterwards, the warranty will still be void! When returning a naked motherboard please remember to install the provided plastic CPU socket protector and place the motherboard inside an anti-static bag. If you are not comfortable with or equipped for PC assembly work, rather allow our technical staff to assemble/install the CPU or other components for you. Labor fees may apply. 8) Titan Ice Computers can not be held responsible for incorrect, uninformed or incompatible purchase decisions. Please ask a friendly sales person if you are unsure about the specifications or in need of advice. Titan Ice Computers can not be held responsible for purchase decisions or assumptions which later turn out to be incompatible or out-dated. - All products are covered by local warranties, which are typically 1 to 3 years from the date of invoice. Please check the warranty period and validity with a Titan Ice representative before returning it to the store. Warranties are not always the same as indicated on the products international website. Please check the warranty validity with a representative before shipping a faulty product to Titan Ice. - Any form of physical damage will not be covered by the product warranty. Definition of physical damage or user damage: Any part or component that is deemed to have been physically abused/broken/scratched/bent/dropped/twisted/cracked. Accidental damage is considered physical damage. Water/liquid damage is considered physical damage. Using a component for a purpose other than what it was designed for can be seen as physically damaging it. A common case of physical damage voiding a warranty would be the cables on headsets/mouses, please take care not to damage the cable! Take care when removing items from the packaging material so as not to cause damage. - Liquid cooling components and devices are installed at your own risk! Water/liquid damage to your components will not be covered by local warranties. Removing heat sinks or coolers from graphics cards or chip sets will void your warranty in most cases. Take care not to kink or bend water pipes beyond designed limits. Take care not to damage radiators by screwing the mounting screws in too deep. Inspect your setup for leaks regularly. Keep your PC clean of dust to avoid shorts circuits in case you DO get a leak. - Lightning or other electrical surge damage are not covered by the product warranty. - Blown/burnt caps/ICs are clear signs of surge damage, however sometimes this type of damage is not as obvious. - Connecting your devices to incorrect power plugs or other improper voltage supplies will most likely cause electrical damage and void the warranty. - Titan Ice Computers cannot be held responsible should any component of a lightning, surge or water damaged PC, that worked fine during testing, fail at a later date. - Wear and tear is physical deterioration that naturally and inevitably occurs as a result of the normal use of certain types of items: such as keyboards, mouses, headsets, controllers. Wear and tear will not be covered by the product warranty. Examples would be worn keyboard keys, worn feet on a mouse, worn controller buttons/sticks, squeaking joints, slight cracks on a headset's headband etc. - Any improper application, operation or modification to a product will void the warranty. - Missing/damaged/removal of warranty/serial number stickers, labels, screws or any other type of seal will void the warranty. Do not remove any of the stickers, seals or screws on your components or notebook. - Please do not tamper with, disassemble or attempt to repair a faulty product yourself. This will most likely void the warranty. - Should you have a product that has failed or developed problems during the valid warranty period, please contact us to begin the RMA process. Use email if at all possible so that a complete record of all correspondence exists. You will be provided with a reference number that can be used in all correspondence concerning the item. The acronym RMA stands for "Return Merchandise Authorization". - A valid proof of purchase directly linked to the item must be presented for us to start the RMA process. (A copy of your Titan Ice tax invoice). If you no longer have your invoice, then a serial number for the item must be presented. Serial numbers appear either on the original retail packaging or on the components. - If neither a Titan Ice tax invoice or a serial number can be presented as proof of purchase we will unfortunately not be able to process the warranty claim! - Faulty products still under warranty and not physically damaged as stated above will be tested and sent away to the appropriate agent for repair or replacement. If a product is out of stock or cannot be repaired, a store credit note will be provided. Refunds are not possible if an item has been in use for more than 7 days. - Faulty products will in most cases not be replaced immediately in the store as this is simply not the way RMA and warranties work in our industry. If a product has failed within 7 days of purchase an immediate replacement can be arranged if there is stock available and if the problem is easily replicated. Otherwise it will have to go through the normal RMA testing process. - The normal RMA process takes about 2 weeks or 10 business days (excludes weekends/public holidays). The product will either be replaced if stock is available or if no replacement stock is available a credit note will be provided. Refunds are not possible if an item has been in use for more than 7 days. Please understand that if the problem/fault cannot be easily replicated by our technicians this process might be delayed. E.g. When the fault is very intermittent or actually caused by something else entirely. - Please check with a Titan Ice representative if your notebook/printer has a fetch-repair warranty or a carry in warranty. Faulty notebooks/printers and other devices with fetch and repair or "on-site" warranties will require that you as the customer contact the appropriate agent directly to begin the process of RMA collection from your premises. You are welcome to contact Titan Ice to assist you with initiating this process. - An item that has been replaced under warranty does not get a new warranty. The warranty period for replacement items are calculated from the original item's invoice date. - Titan Ice cannot be held responsible for any loss of user data on standalone storage devices or notebook/tablet storage devices that were sent in for RMA. Remember to backup your important data at all times. - Data recovery is not covered by any warranty - please ensure your important data is backed up to an external device (such as a flash drive or external hard drive) or an online cloud storage service before the unit is brought in as storage devices can and do fail. - Titan Ice cannot recover data from storage devices that have failed completely. - Titan Ice Computers cannot be held responsible for storage device data-loss due to hardware failure or viral infection while undergoing assessment/cleaning in our workshop. Remember to backup your important data at all times to an external device or an online cloud storage service. - Titan Ice Computers cannot be held responsible should a damaged/suspect/faulty item fail completely while undergoing testing in the workshop. - Software failure/corruption/viral damage are not covered by warranties. Software troubleshooting and virus removal will be charged at our current hourly labor rate. Ensure that you at least protect your data with a reputable up-to-date anti-virus program and firewall. - "Lifetimes warranties" are valid for the lifetime of the product only. In other words as long as the product is manufactured. Has nothing to do with human lifetimes. - Unfortunately, we do not have loan units to lend to RMA customers. - All shipping costs will be up to the customer if a product turns out NOT to be faulty or no longer under warranty. - Shipping costs will be up to the customer if a product was not originally shipped to you by Titan Ice. For example when the customer used his/her own courier to collect the item or originally collected the item directly from our store or from our Expo stand. - Notes regarding Apple/Macintosh compatibility: We cannot guarantee all the items we sell are compatible with Apple/Macintosh devices unless the product specifications specify that it is. We deal with hardware and software that is primarily compatible with Windows based PCs. The included driver/software is generally only programmed for Windows platforms. - Notes regarding audio quality: Where headphones/speakers are concerned, audio quality is by nature subjective. Audio quality is also dependent on a variety of factors, like the quality of the input sources and codecs used. A headset/speaker must be shown to clearly be faulty (pops, missing sounds, softer on one side etc...). Titan Ice cannot RMA an item just because of a perceived shortfall in the expected quality of the audio. - Notes regarding wireless (WiFi) reception/range: Wireless signals are subject to interference from a variety of environmental conditions/sources. Brick walls, noisy electronic devices, electrical wiring and other factors can and will contribute to reduce the expected range/quality of the signals involved. Titan Ice cannot guarantee the range and reception quality of wireless networks or devices on your premises. - Notes regarding overclocking: Please realize that there is an inherent risk involved with all types of overclocking, including adjusting the setting in the BIOS or using the third-party overclocking tools. Overclocking may affect your system stability, affect the longevity of the parts or even cause damage to the components and other devices in your system. It should be done at your own risk and expense. We are not responsible for possible damage caused by overclocking. Using modified/hacked firmware will void your warranty. - Notes regarding SSD Warranties and the TBW threshold: SSD warranties are not only tied to the period given, but also the TBW or Terabytes Written threshold. Terabytes Written is the total amount of data that can be written onto an SSD ina given period before it is likely to fail. If the given TBW threshold is exceeded, the warranty on that SSD is void. The TBW can be viewed and tracked by the particular SSD brand's diagnostic software. - Notes regarding UPS units: A UPS is not designed to provide continuous power, merely a window period of minutes that allows a computer or other user to finalize the work at hand and shut down safely. It's ability to do this is dependent on the number of devices connected to the UPS. Any application of a UPS unit for powering devices outside of normal office equipment will void your warranty. Normal office equipment refers to PC boxes, screens, PC speakers, flatbed scanners etc. A UPS was not designed to power your garage doors etc. Take care not to let the UPS batteries run down completely to 0% - this can cause damage to the batteries. Use the UPS software to control and manage the UPS properly. - Notes regarding Graphics Cards/Motherboards and VRM/Chip damage and surges: VRMs and other sensitive chips on a graphics card or motherboard can be damaged by overclocking, crypto-mining or extreme heat - all of which will void the warranty! Higher than normal loads, voltage spikes or power surges can physically damage and cause these chips to fail despite all protections the card/motherboard may have - damage of this kind will void the warranty. Please check the warranty validity with a representative before shipping a faulty product to Titan Ice. We are open Mondays – Fridays from 8:30 to 17:30, Saturdays and Public Holidays from 9:00 to 13:00. Closed on Easter, Christmas and New Year.